Here I will upload more movie posters, photographs, and other optic media. The tune that you are listening to now is "La Vie En Rose" from Sabrina. Another picture of Holly Golightly. 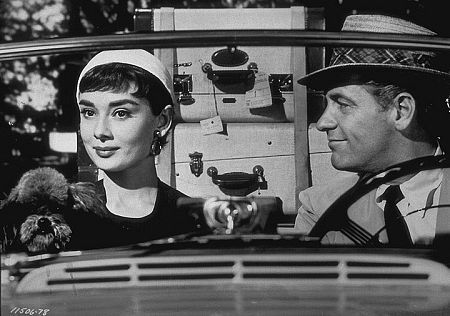 Picture of William Holden (David Larrabee) driving Audrey (Sabrina Fairchild) home after her two-year stay in Paris. This scene was from Sabrina. 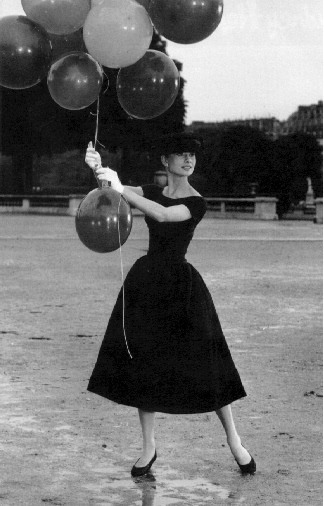 Picture of Audrey (Jo Stockton) acting as a model for Fred Astaire (Richard Avedon) in Funny Face. 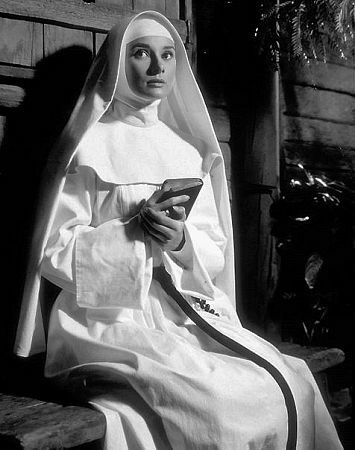 Audrey Hepburn portrayed her acting skills in The Nun's Story as Sister Luke. More Pictures to come, maybe in a second gallery.